Food Fair arose from a chain established in Harrisburg, Pennsylvania in the 1920s. Primarily based in the Mid-Atlantic/Northeast United States and in Florida, the chain also briefly operated stores in California. By the 1980s, stores were rebranded as Pantry Pride, a process that started in the late 1960s with the rebranding of some stores into a discount chain. By 1991, the company had sold off its supermarkets and renamed itself The Revlon Group, based on its 1985 of the cosmetics company. 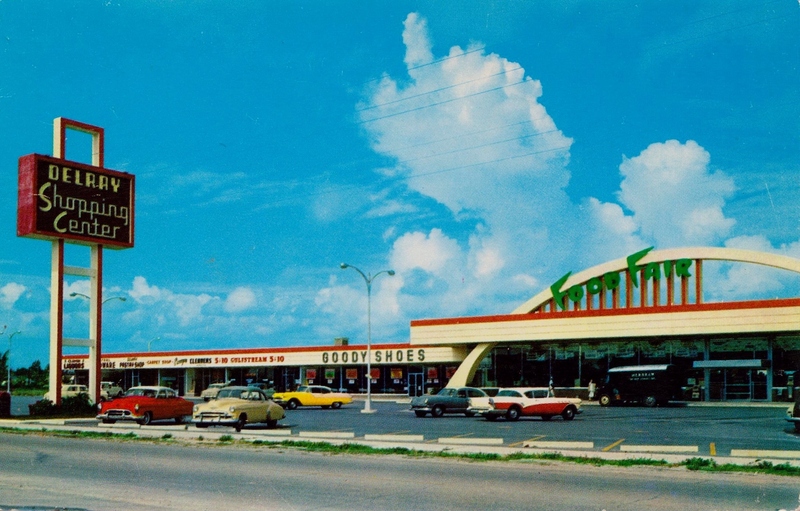 Food Fair was once one of the 5 top grocery chains in the country. It even had stores in California and I believe Nevada under different names. The Friedland family owned it; Revlon Corp. was involved in its buyout and eventual liquidation. The company’s last stronghold was in Florida (Ft. Lauderdale, Miami Beach, Sunny Isles Beach). The LAST store built was actually in Sunny Isles Beach in 1991 called Pantry Pride Food Emporium. At one time the company was an innovator in many concepts that became very popular later on in retail grocery: electronic registers, scanning, UPC, combination stores, discount grocery stores (Pantry Pride), etc. The company had a rich and controversial history and was one of the original big grocery store chains. Major mismanagement caused this once mighty (and pioneering) grocery store chain to perish! !